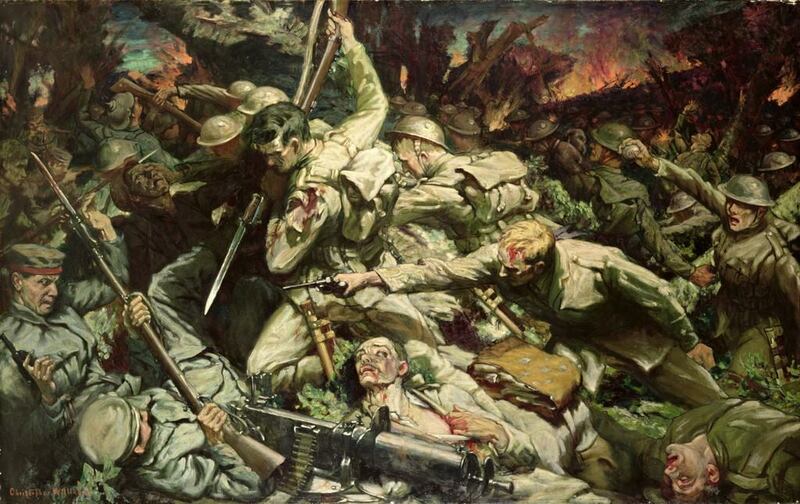 10 RWF attacked Delville Wood in support of the South Africans. In the dark Cpl Davies and six men became separated from their company. From a shell hole they held up a German counter-attack and then drove the enemy off with the bayonet. Later Pte Hill, acting on his own, dispersed twenty of the enemy before helping to bring in some wounded men under enemy fire. They both received a VC. On the 20th July 1916, at Delville Wood, Corporal Davies and eight men were surrounded during an enemy counter-attack. Taking cover in a shell hole, they repulsed the attackers with grenades and rapid fire. He then followed up the retreating party of Germans and bayoneted several of them. 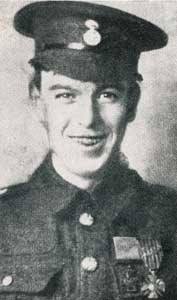 All the officers had become casualties, Corporal Davies, badly wounded in a shoulder, took charge and led two attacks and kept a tight control of the reserves. On the 20th July 1916, at Delville Wood, when the battalion had deployed under very heavy fire for an attack he dashed forward, when the order to charge was given, and meeting two of the enemy suddenly, bayoneted them both. He was sent later by his platoo, sergeant to get in touch with the company, and finding himself cut off and almost surrounded by some twenty of the enemy, attacked them with bombs, killing and wounded many and scattering the remainder. He then joined a sergeant and helped him to find the way back to the lines. When he got back, hearing that his Company Officer and a scout were lying out wounded, he went out and assisted in bringing in the wounded officer, two other men bringing in the scout. Finlly, he himself captured and brought in as prisoners two of the enemy. The Battalion fought on the right of the Allied Army and spent most of the day in square under cavalry attack but also faced one infantry attack. It lost its commanding officer, Colonel Sir Henry Ellis, together with three other officers and 11 men killed and 8 officers and 78 men wounded. Don't forget our commemoration event at the Museum inside Caernarfon Castle 8th and 9th August. When Col Charles Herbert was murdered in Ireland in 1691, he was succeeded to the colonelcy by Lieut-Col Tobias Purcell. When Col Charles Herbert was murdered in Ireland in 1691, he was succeeded to the colonelcy by Lieut-Col Tobias Purcell, second-in-command of the Regiment at the battle of the Boyne in 1690. 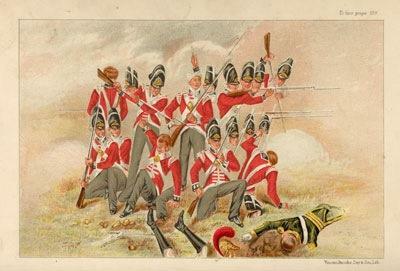 The spurs which he wore in the battle became a prized Regimental possession, being drunk to at every St David’s Day Dinner, and worn on ceremonial occasions by successive seconds-in-command until lost in a fire in Canada in 1842. 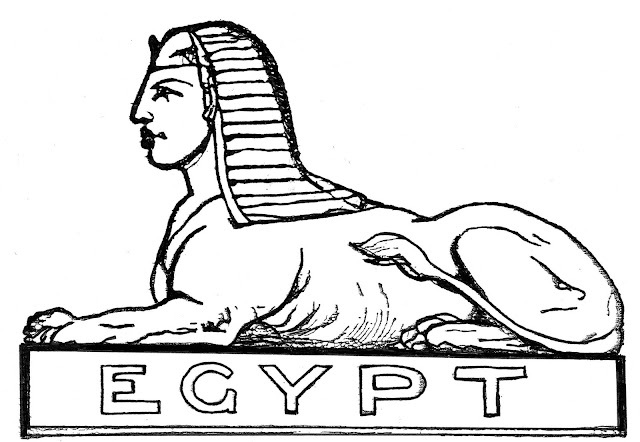 He was commissioned 2nd Lieut RWF in 1804 but left the army a few years later. He was a great walker. His greatest feat occurred in 1809 when he accepted a wager to walk 1,000 miles at the rate of 1 mile an hour for 1,000 consecutive hours for 1,000 guineas (£1,100). He set out on Newmarket Heath on 1 June and completed it successfully on 12 July. In 2003 the London For a Marathon recreated the challenge for six elite ultra endurance athletes. The only difference being that the 1000 miles would be competed in 38 times round the London Marathon route with the immediate running of the London Marathon at the end of the 1000 miles! In the early hours of a particularly good Officers’ Mess Dinner Night Lt David Lake decided that this event needed a member The Royal Welch Fusiliers to take part. 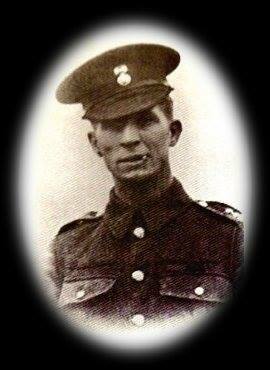 He volunteered and was selected by the organisers on the basis of the Regimental link. David duly undertook the challenge and complete it coming fourth in the overall event. This was the first major action fought division, which included the 13th, 14th, 15th, 16th and 17th Battalions. The first attack on the 7th July failed. A second one was made on the 10th. There was heavy fighting throughout the day at very close quarters in the wood. When relieved on the 12th the division had lost 4,000 men, and the Royal Welch Fusiliers well over 1,000, including four out of five commanding officers. Notification was received that all regiments that participated in the defeat of Napoleon in Egypt were granted permission to ‘wear on their on their Colours a badge as a distinguished mark of HM’s Royal approbation ... of the glory acquired by ... the zeal, discipline and intrepidity of His troops ... ’ The badge was the Sphinx superscribed ‘Egypt’. Following the Allied victory at Waterloo the 4th Division, with the 23rd, went first to Valenciennes before occupying Cambrai. It then marched towards Paris, reaching the Bois de Boulogne on the outskirts on the 4th. 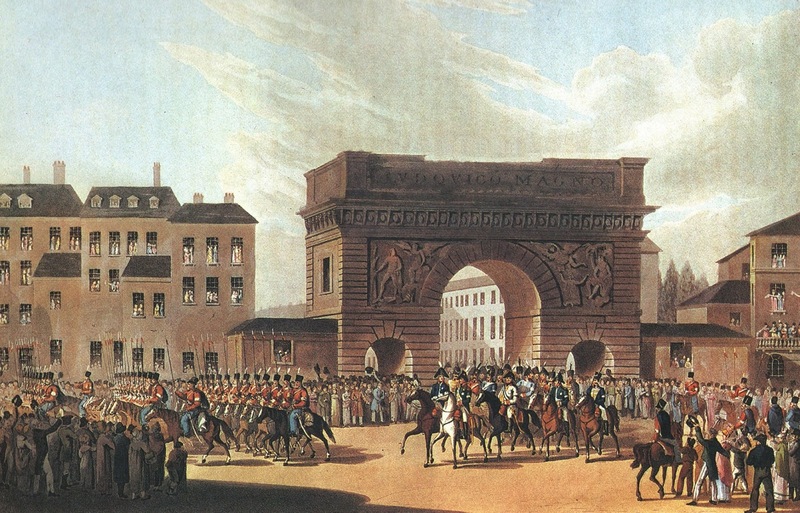 The prize money distributed for Waterloo and the capture of Paris was in the following proportions: Field Officers each, £433; Captains; £90; Subalterns, £34; Sergeants, £19; and Rank and File, £2.57. 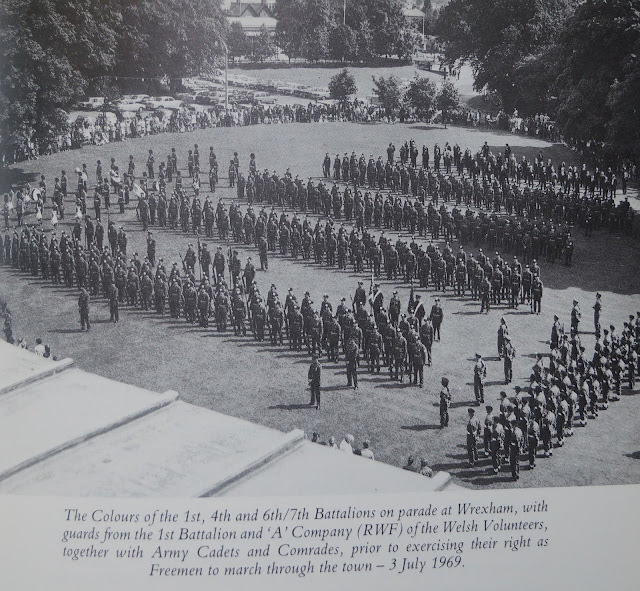 The Royal Welch Fusiliers exercised the Freedom of Wrexham. The Colours of the 1st, 4th and 6th/7th Battalions were all on parade. The Guards were provided by the 1st Battalion and ‘A’ Company of The Welsh Volunteers, together with RWF Cadets and Comrades.